The United Kingdom of Great Britain and Northern Ireland is an example of a unitary state. Scotland, Wales and Northern Ireland have a degree of autonomous devolved power, but such power is delegated by the Parliament of the United Kingdom, which may enact laws unilaterally altering or abolishing devolution (England does not have any devolved power). Many unitary states have no areas possessing a degree of autonomy. 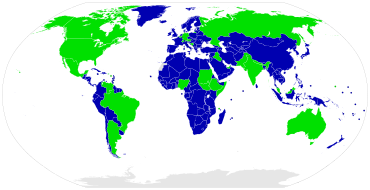 In such countries, sub-national regions cannot decide their own laws. 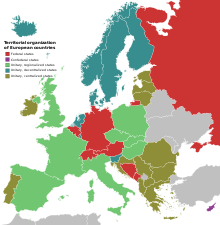 Examples are Romania, the Republic of Ireland and the Kingdom of Norway.